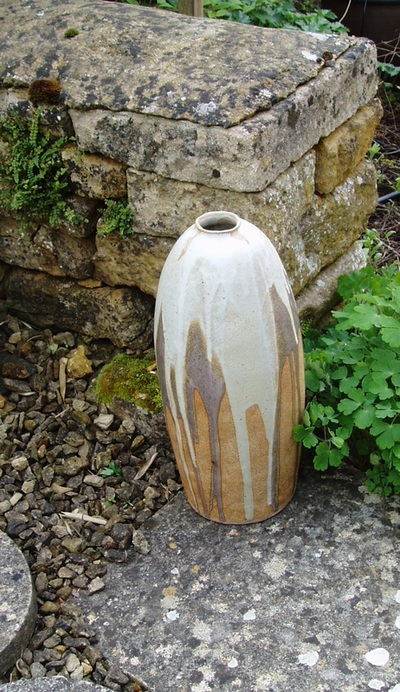 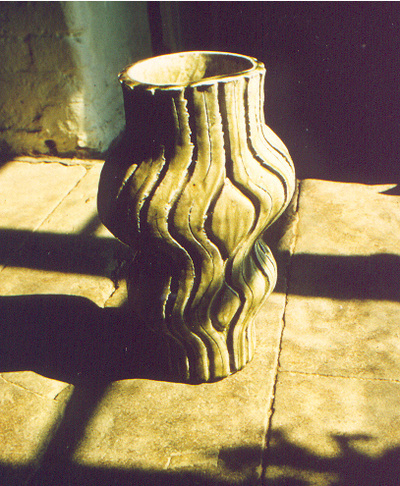 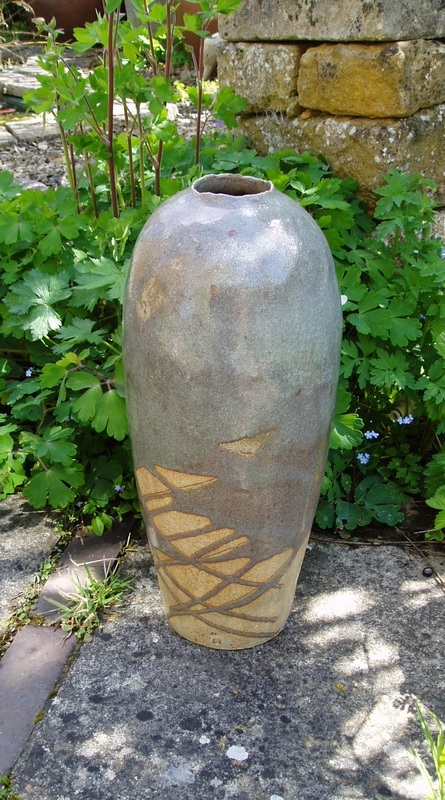 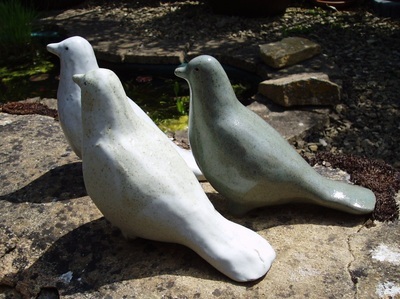 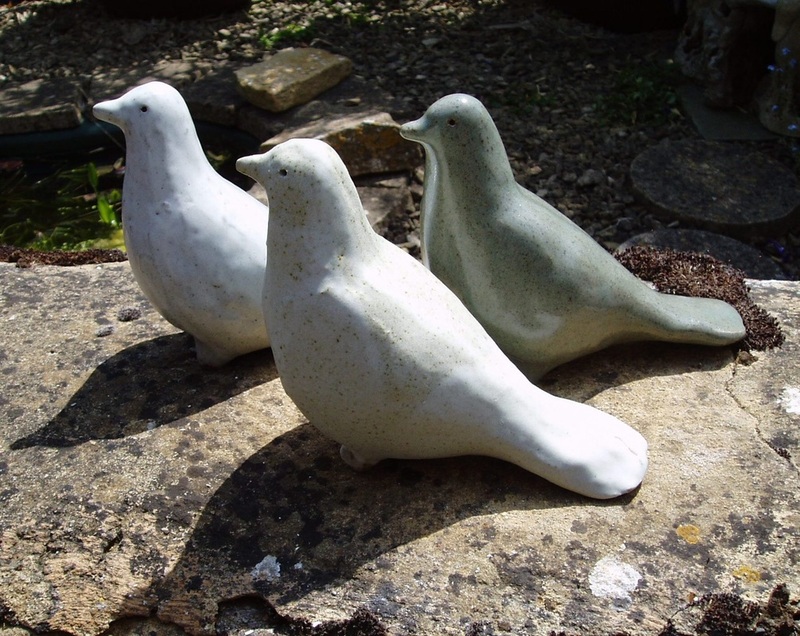 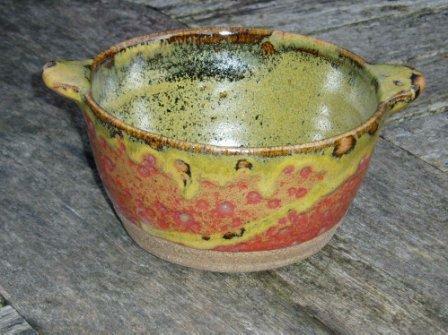 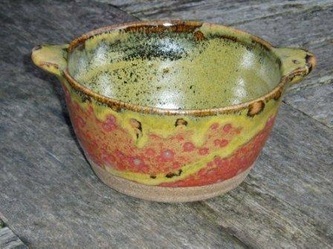 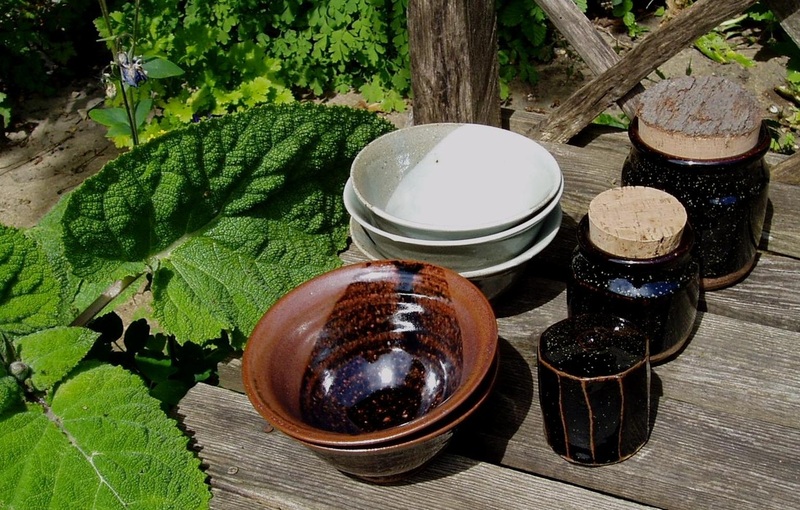 I am inspired by a love of nature and the unpredictable results of high fired kilns. 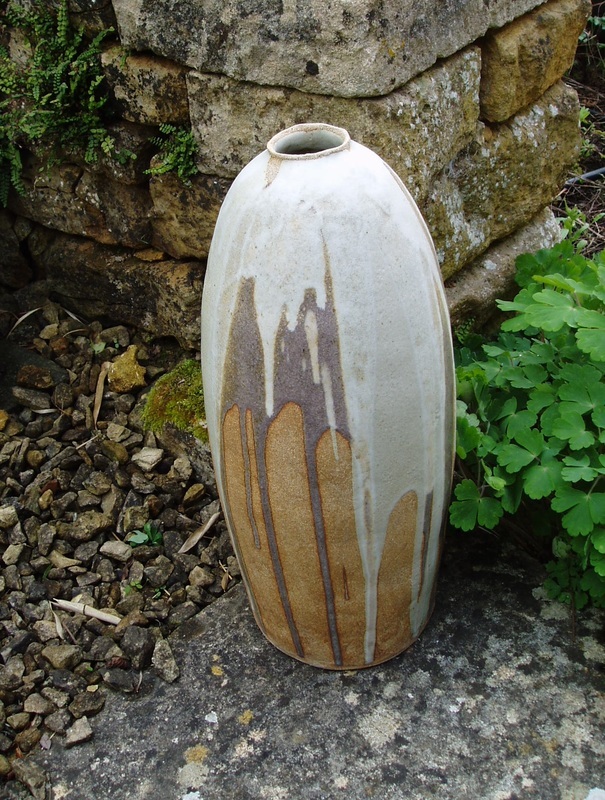 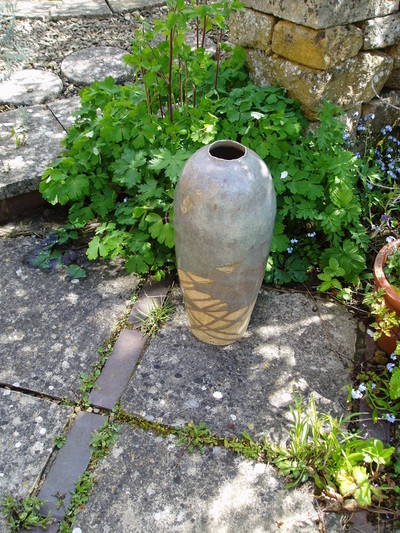 My ceramics use labour intensive methods and simple technologies to explore and represent natural landscapes. 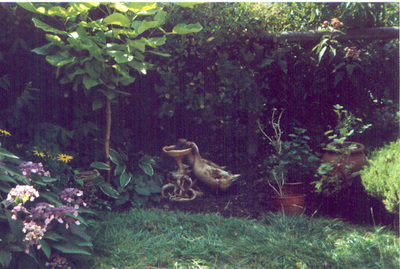 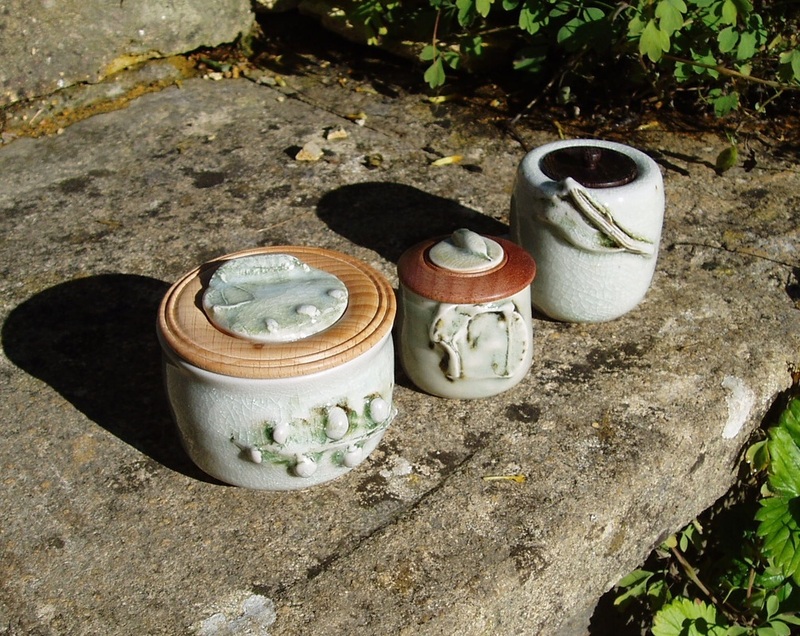 I incorporate into my work locally gathered raw materials including ashes often supplied by my sitting room fire. 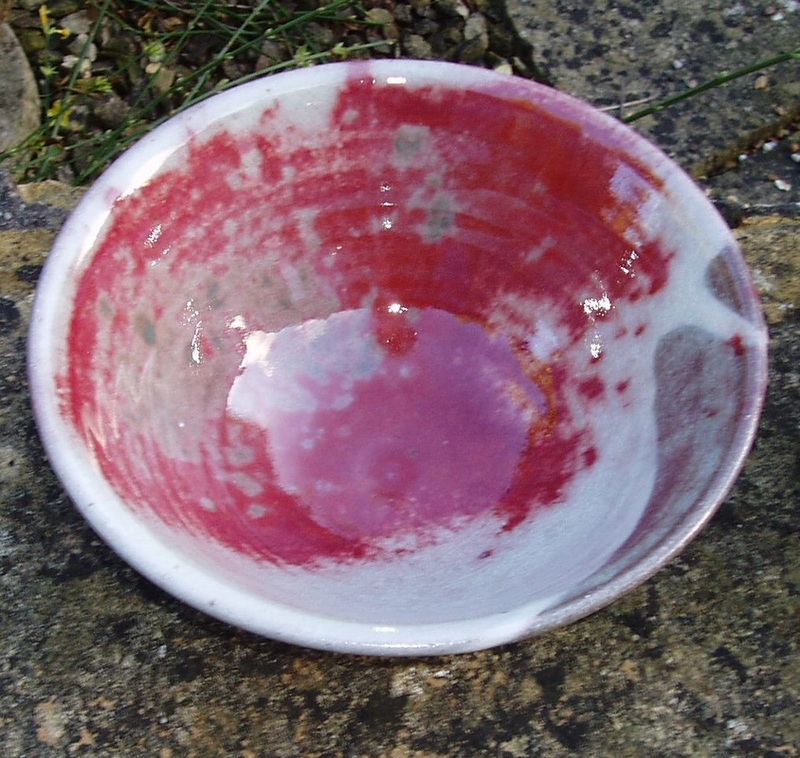 The trace elements produce a complex glaze. I develop my own glazes. 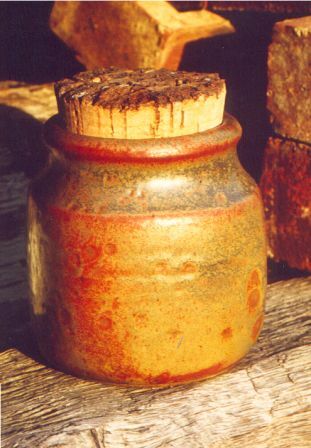 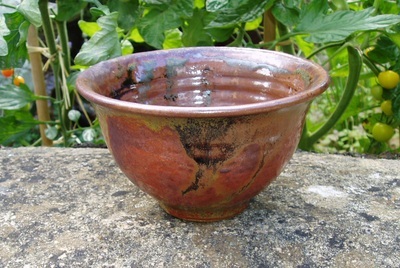 For instance I discovered that my ‘Ash Crackle’ glaze could produce the elusive ‘copper red’ in reduction firings of a gas kiln. 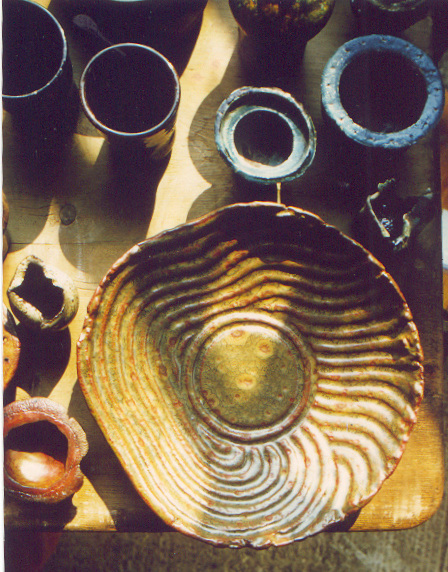 By reducing the air in the kiln atmosphere the starved combustion process draws oxygen from oxides in the clay and glazes effecting chemical change. 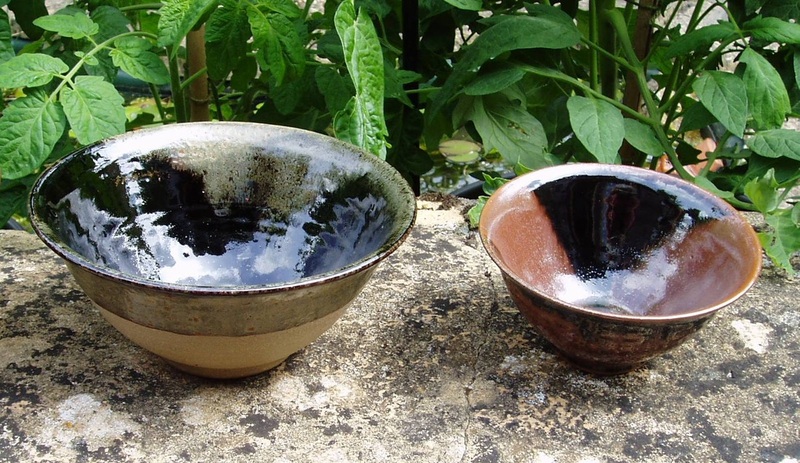 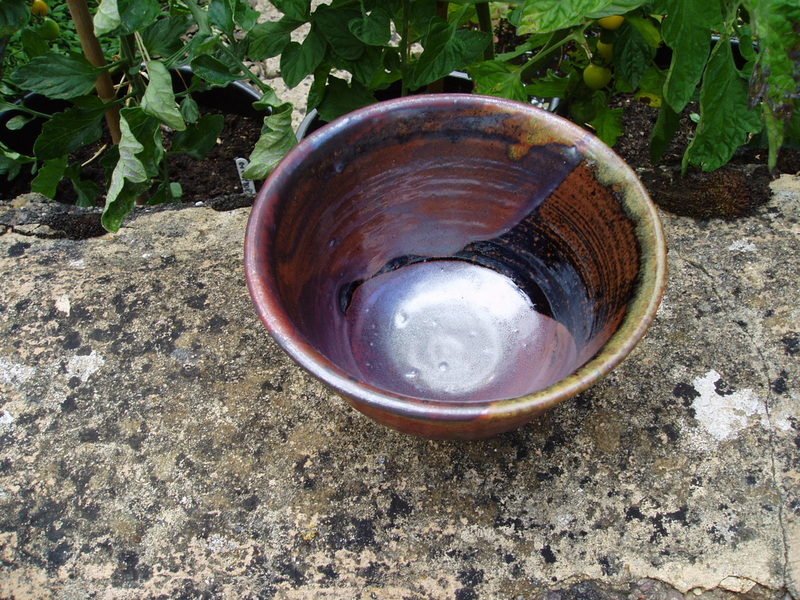 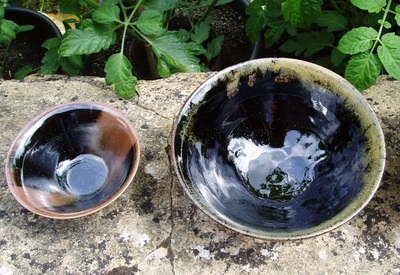 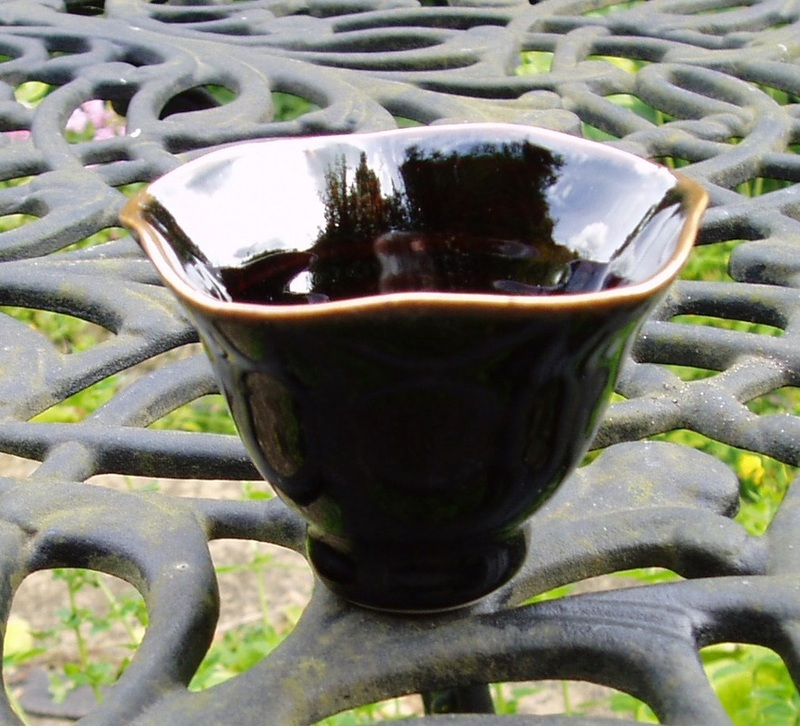 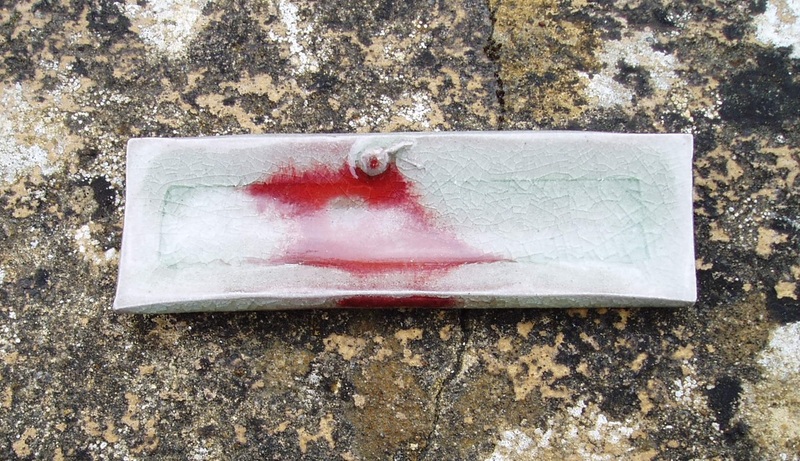 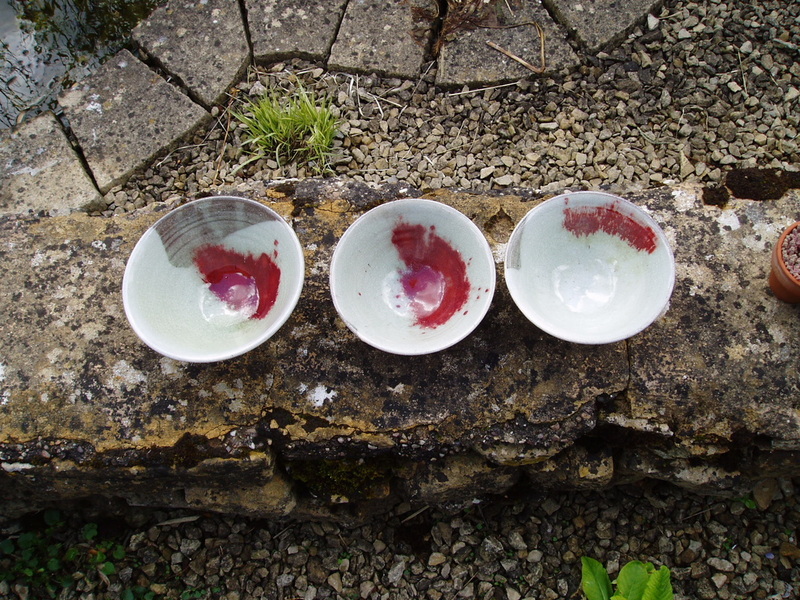 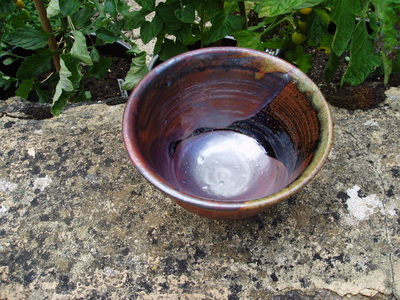 With the right glaze ingredients there is a dramatic colour change in copper oxide from green to red. 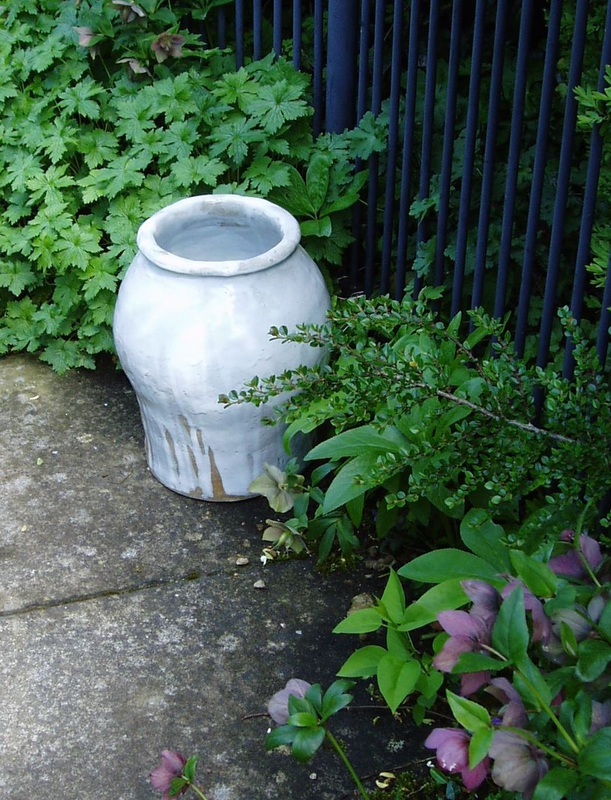 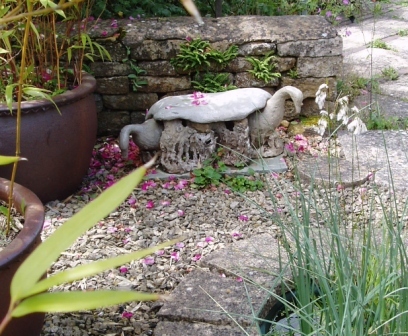 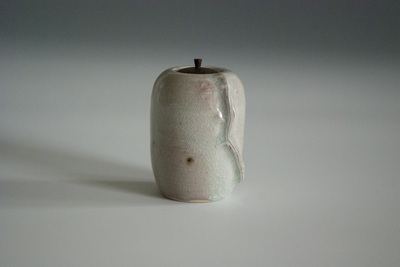 In the volatile atmosphere a pink blush may also transfer to other pots. I experiment with taking impressions from wild and garden plants and focus on details such as stem, fruit, leaf or seed head. 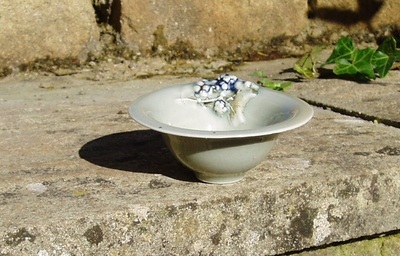 Sprigs reminiscent to those of Josiah Wedgwood are made from these for use on porcelain. 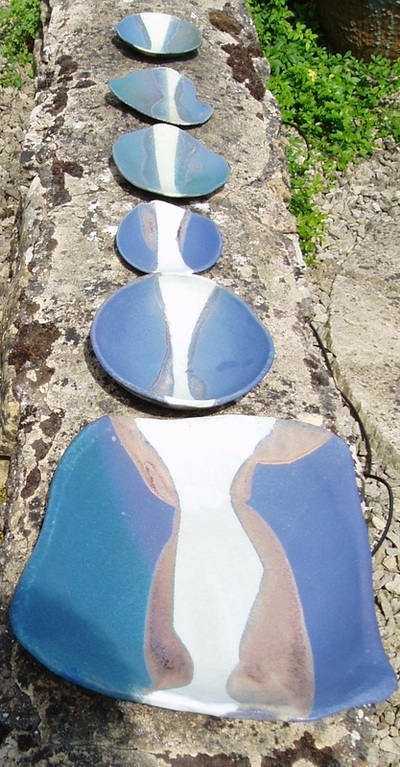 Inspired by Scottish lochs and Hebridian beaches, my crank stoneware horizon trays, platters and saucers capture distant views. 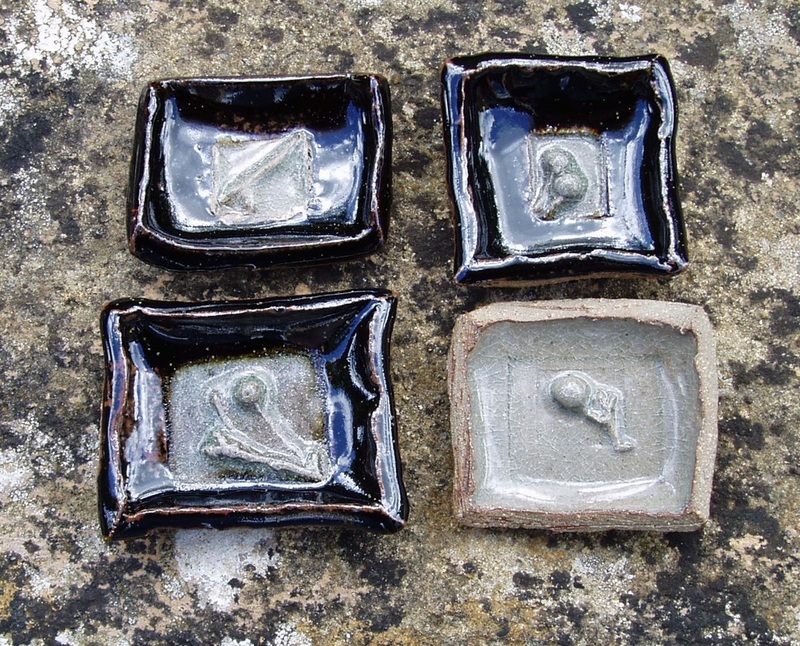 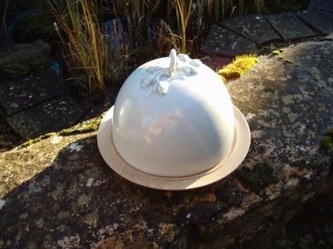 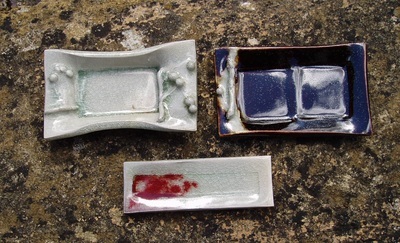 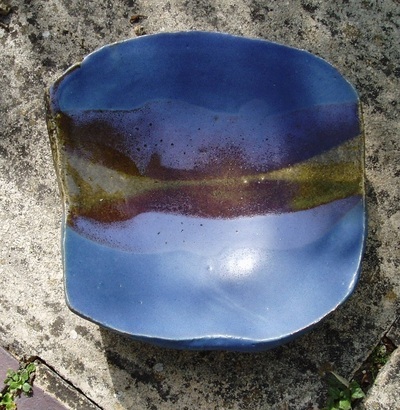 Their handbuilding and glazing methods allow the plates to form their own shapes and surface qualities. 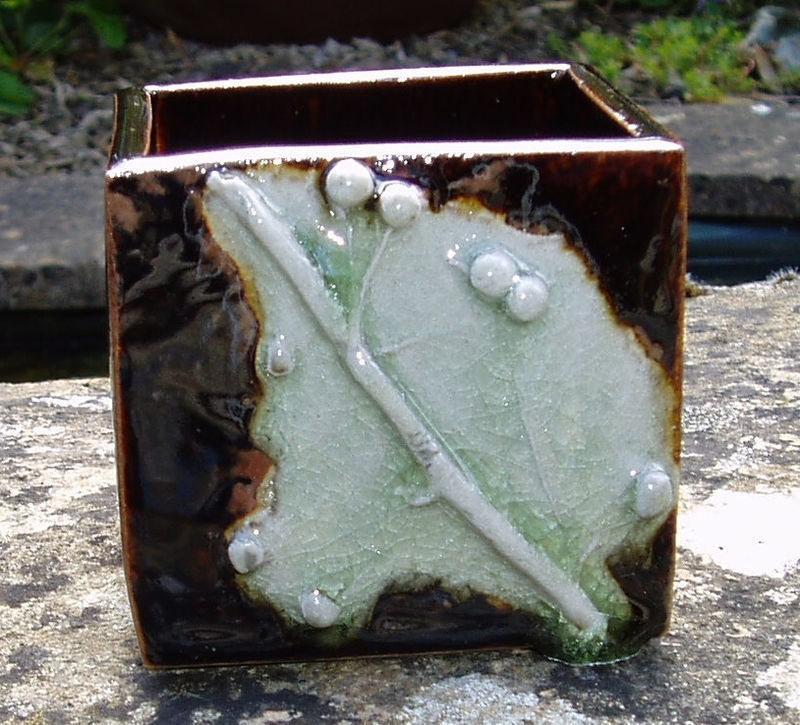 If you are interested in buying or commissioning my work, please contact me through the contacts page. 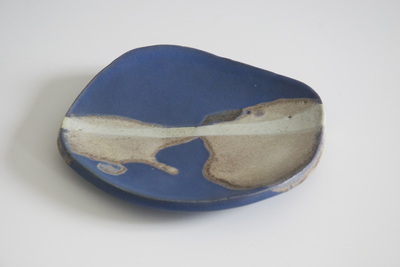 Stoneware oven dish with temmoku and vanadium glazes. 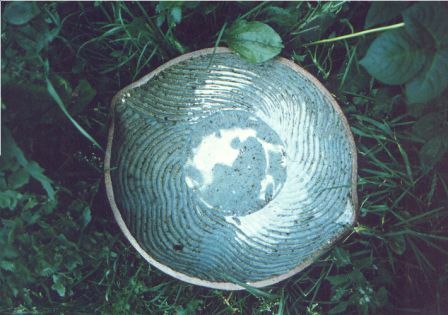 Handbuilt carved stoneware dish, vanadium glaze. 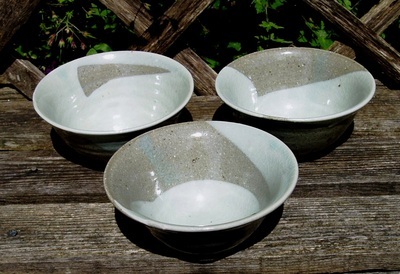 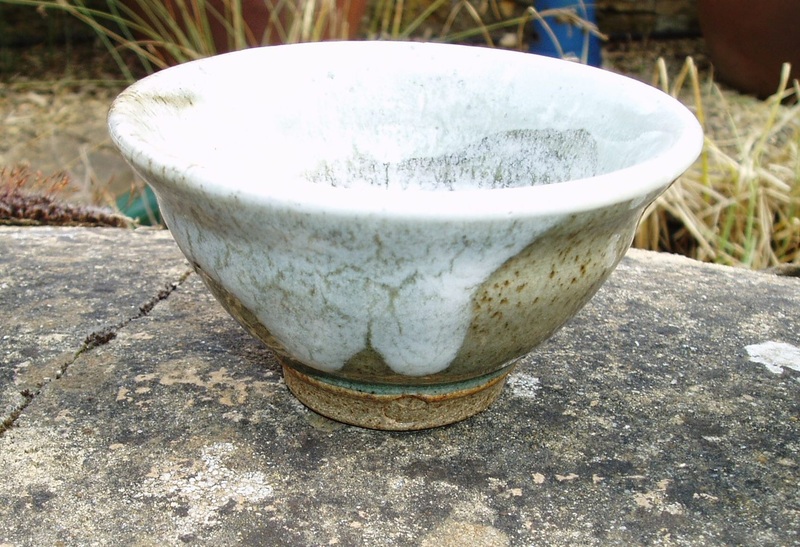 Stoneware dessert bowl, celadon and zircon glazes. 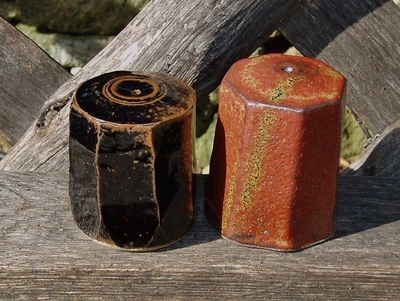 Stoneware salt cellars with cut sides, temmoku and vanadium glazes. 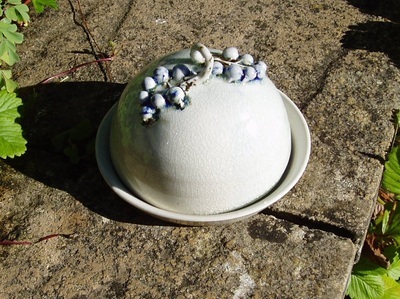 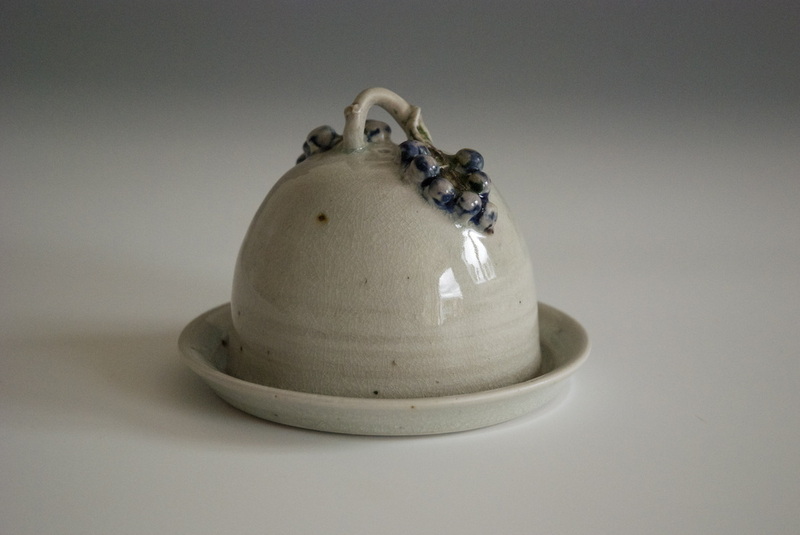 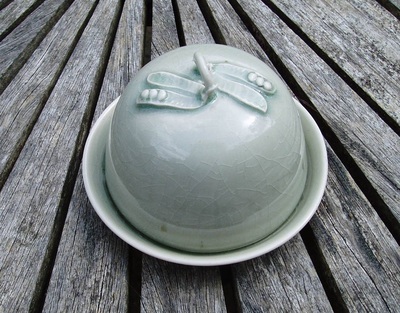 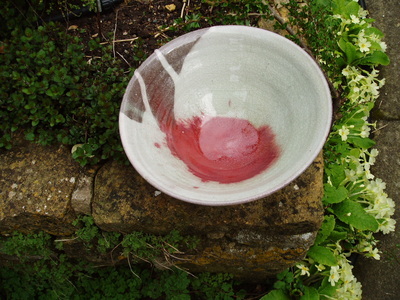 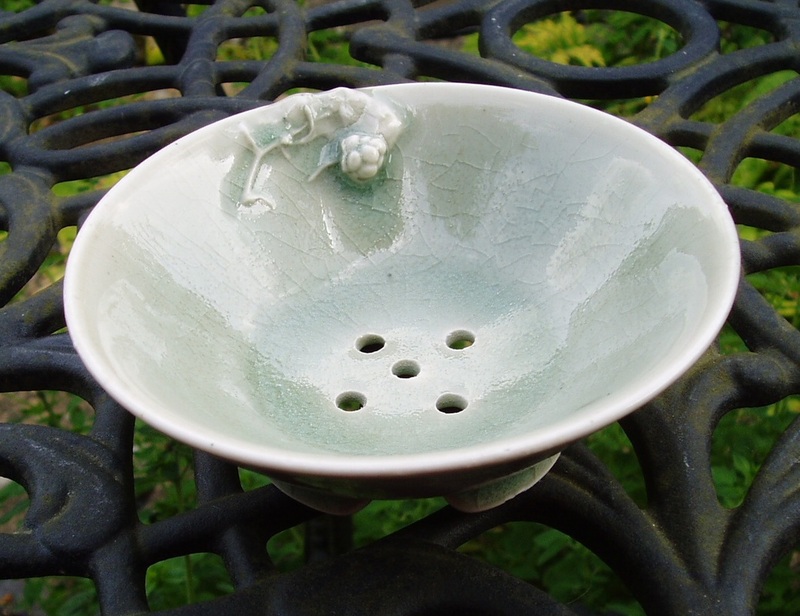 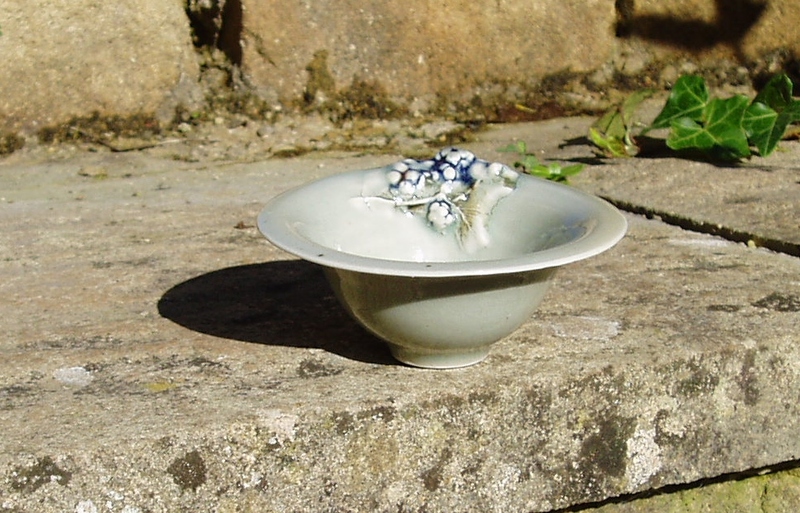 Small porcelain bowl, blackberry decoration, celadon glaze. 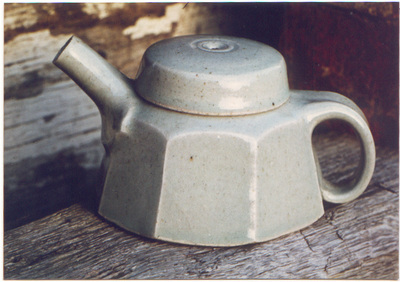 Stoneware teapot with cut sides, celadon glaze. 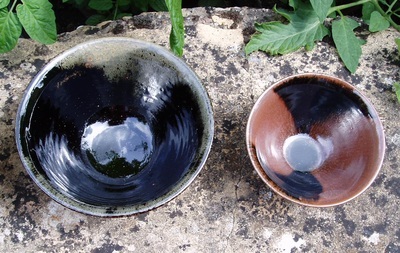 Stoneware serving/mixing bowl, iron rich slip, temmoku and vanadium glazes. 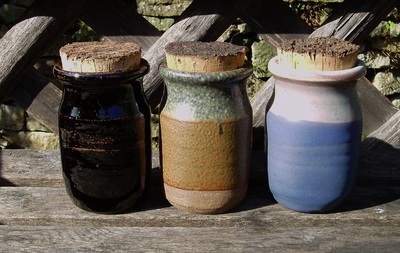 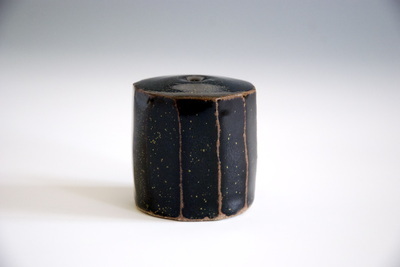 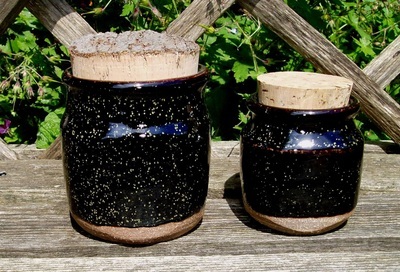 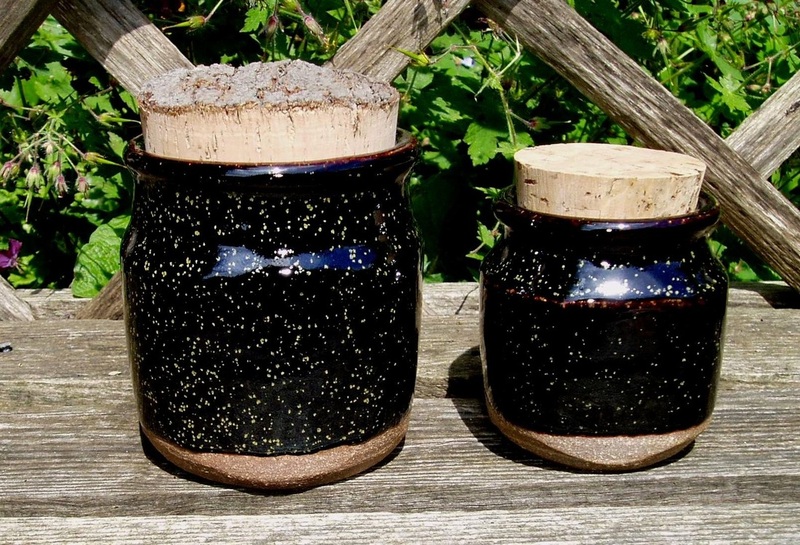 Small corked jars, temmoku, vanadium, white and deep matt blue glazes. 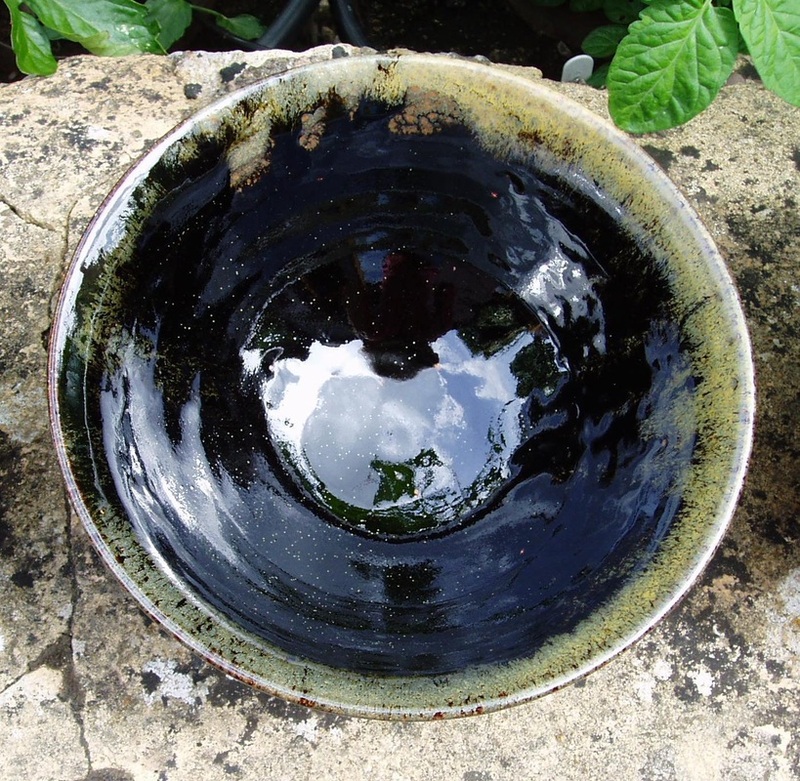 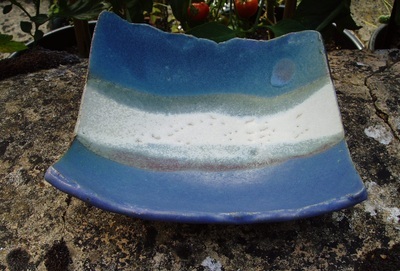 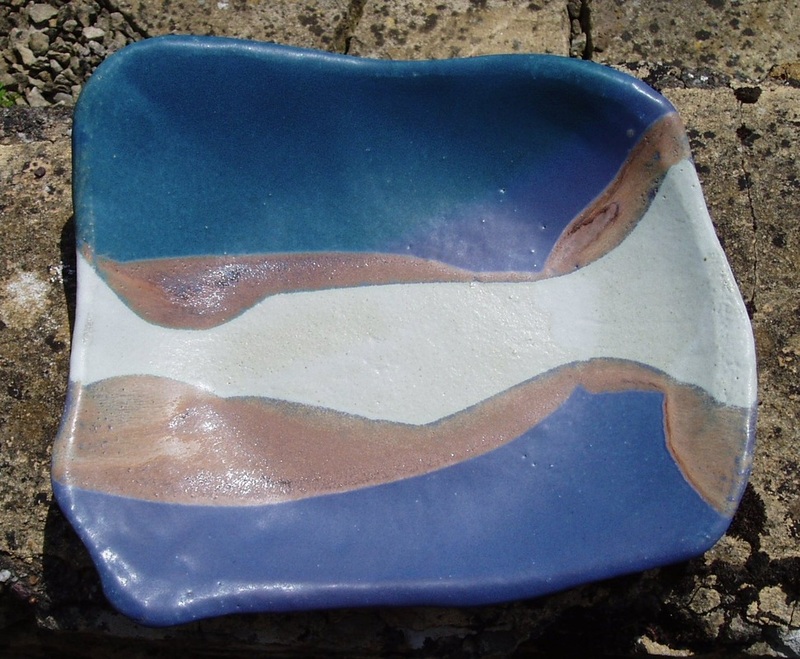 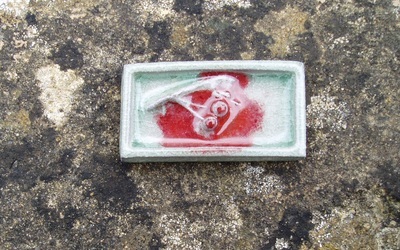 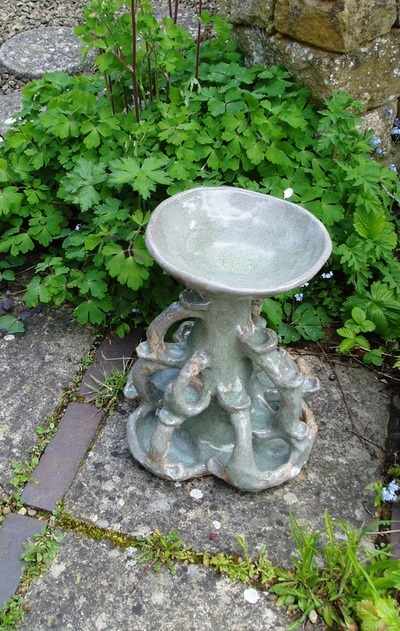 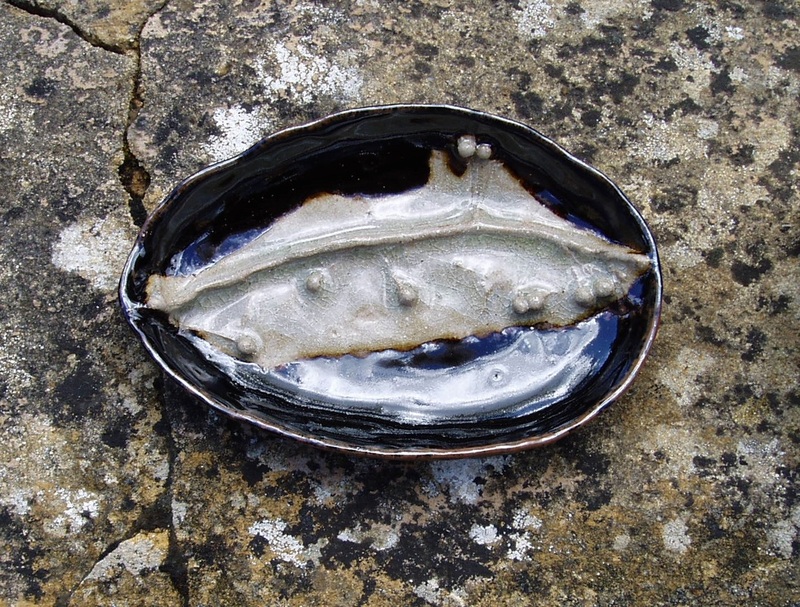 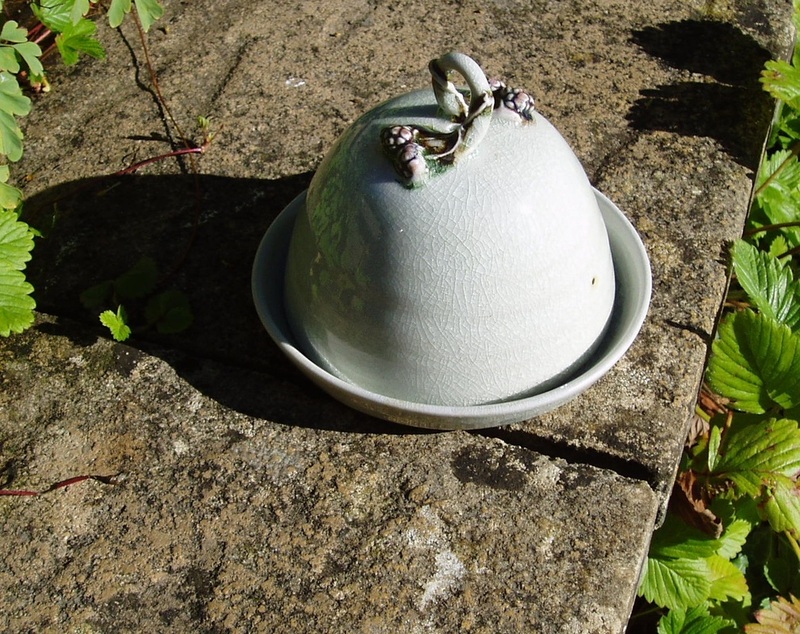 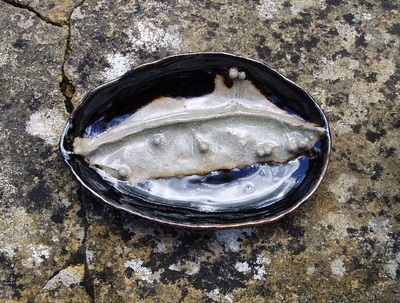 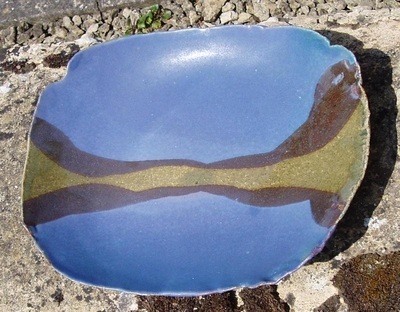 Handbuilt crank clay landscape dish with dark transparent green and deep matt blue glazes. Porcelain blackberry butterdish, ash crackle glaze. 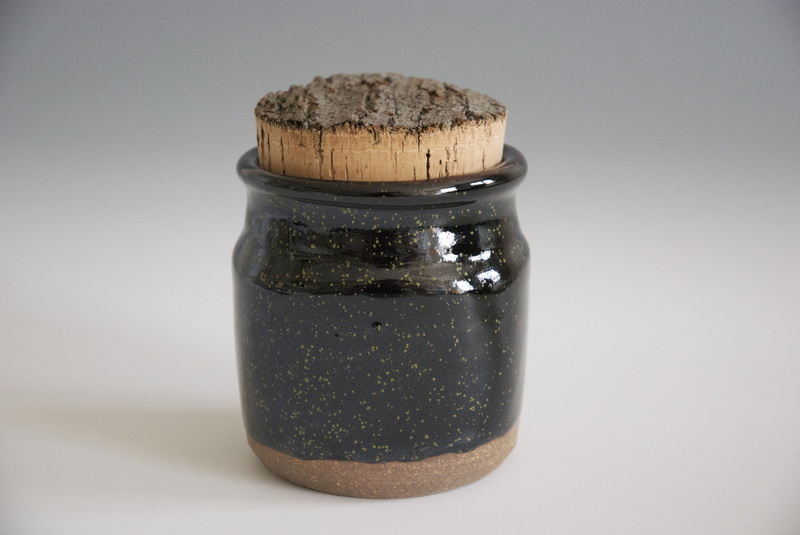 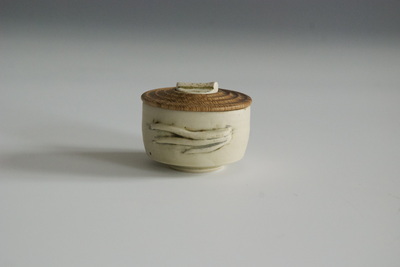 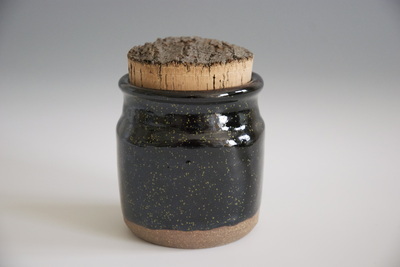 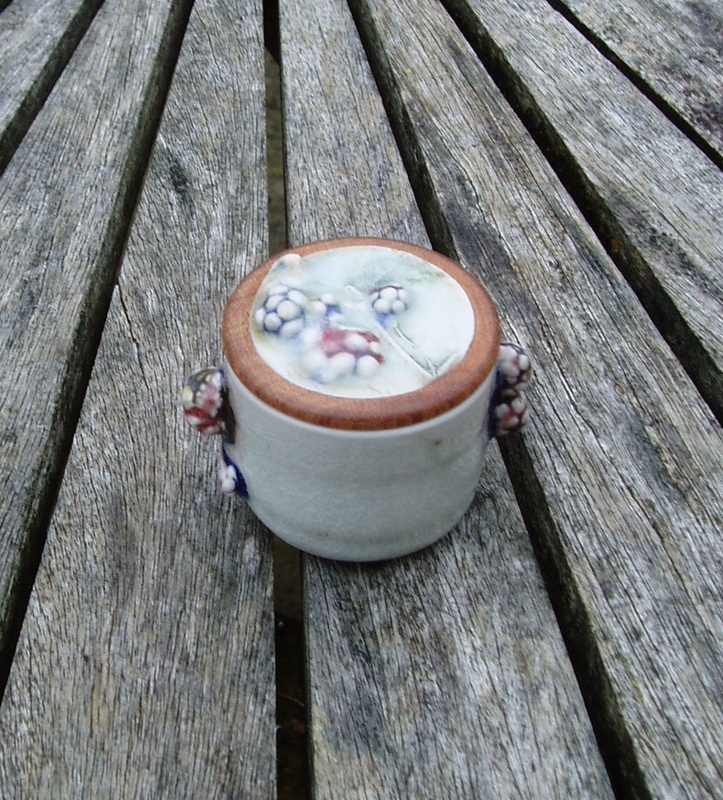 Porcelain blackberry inlaid wooden lidded jar, ash crackle glaze. 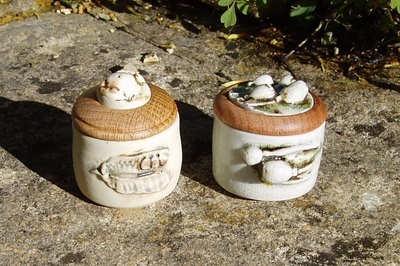 Porcelain peapod and poppy seed head inlaid wooden lidded jars, yellow matt glaze. Go to the Contact page if you want to discuss or buy any of my work, or make a commission.